Our recent research has revealed that a number of once popular British classic cars are facing an extinction crisis. As part of our new ‘Save our Classics’ campaign we have revealed a list of the top ten most endangered cars in Britain. Taking the top spot on the endangered list is the British Leyland built, Morris Ital. The new figures revealing that with only 35 registered examples left they are now rarer than a Javan Rhino. Built at Cowley and then later Longbridge between 1980 – 1984, the Ital was the last production car to wear the Morris badge. In the past decade, a shocking 150 Itals have disappeared from Britain’s roads, and today, the youngest car in the Morris family is on the very brink of extinction. “Once common 1970’s and 80’s cars are disappearing at an alarming rate and this new list is evidence that a serious extinction crisis is mounting”, said Ian Fray, managing director at ClassicLine. “Tens of thousands of Itals were built during the 1980s, they are a proud part of our British manufacturing heritage so it is very sad to hear that so few now remain”. The new data also highlights the decimation of the iconic Ford Sierra. Often seen roaming across the British landscape in vast numbers through the Eighties and Nineties they are now in a worrying state of decline. With over 64,000 being lost in the last decade, less than one per cent of the total built now remain. Other cars high on the Save our Classics endangered list include the 1980’s best seller, the Austin Metro, the once popular Ford Cortina, the Austin Allegro, the Vauxhall Victor and the Hillman Avenger. Fray added, “It is a tragedy that such huge numbers of these cars have been lost in the last decade. Through our new campaign we aim to raise awareness and support for the plight of these once common and much loved British classics that are being recklessly driven to extinction”. The new Save our Classics campaign, launched earlier this month encourages the preservation of British classic cars and has called for a number of incentives such as reducing the current UK road tax exemption from 40 years to 30 years to help enthusiasts maintain the dwindling stock. 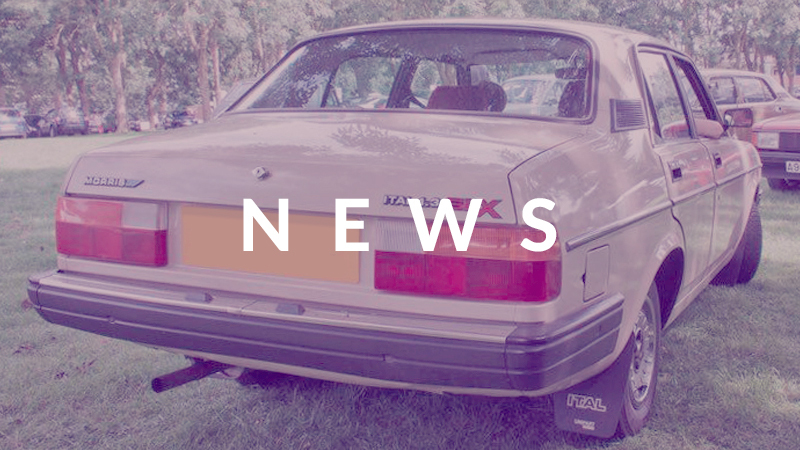 Drivers and enthusiasts can pledge their support to the campaign through the ClassicLine webpage and join the growing community of ‘spotters’ who are being encouraged to share sightings of the endangered cars when they see them out on the road. For more information about the campaign and to pledge your support visit our campaign page or the campaigns Facebook page.